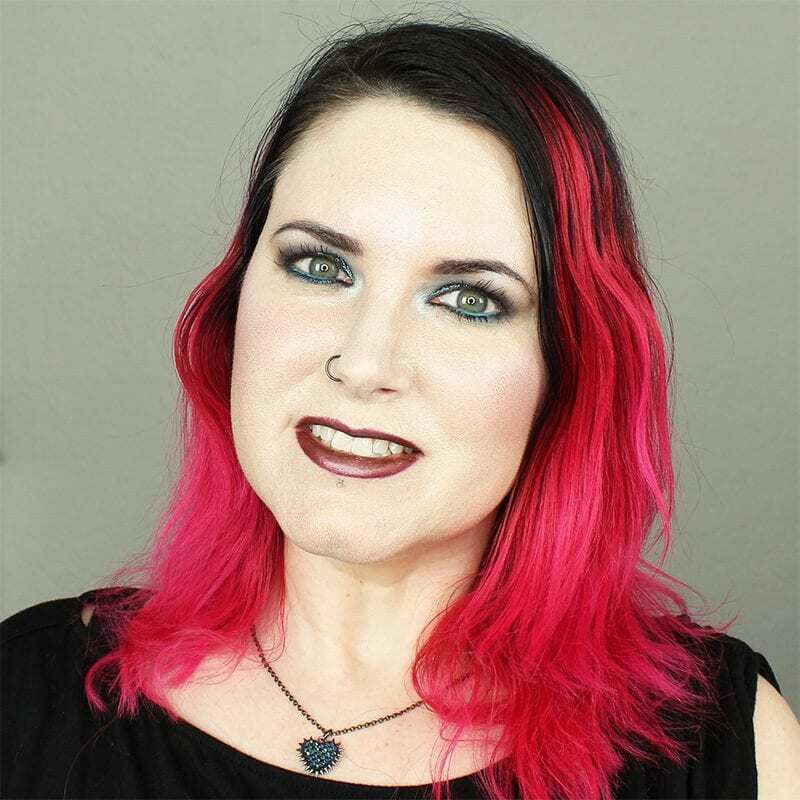 Today I’m sharing a blackened blue smokey eyes tutorial for hooded eyes. I’m using Black Moon Asteroid as the main eyeshadow for this look. I haven’t done a Teal Thursday in forever, so I thought you’d enjoy this. 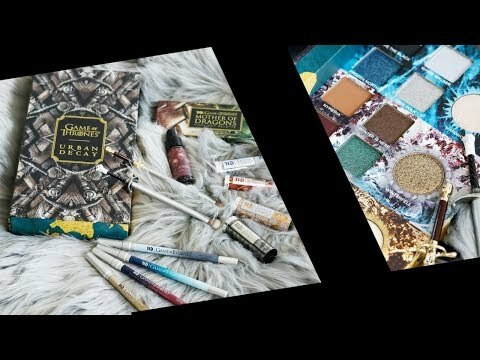 This smokey eyes eyeshadow tutorial will show you a quick way to create a smokey look even if you don’t have a liquid eyeshadow like Asteroid. You can always substitute any dark sparkly eyeshadow in your favorite color in its place. I’ve been hanging onto this tutorial for about a month, as I don’t have lash extensions in it. Instead you get to see me in mascara. My lashes, which are long, just don’t want to hold a curl or show up, though you can see in the photo below they do just about touch my eyebrows. Now if they would only curl perfectly for me! After applying primer, color in the lid and line the lower lid with the Milani Black Ink chubby pencil. Liberally apply Black Moon Asteroid to the lid and hood of the eye in the smoky dome shape. Use a soft brush like the Sigma E25 to blend a bit of Lunatick Cosmetic Labs Dark Taupe into Asteriod on the hood of the eye. Use a fluffy brush to highlight under the eyebrows with a matte white like Lunatick Cosmetic Labs White. Line along the lower lid with the Viseart Editorial Brights Dark Blue matte. Blend with a fluffy brush on the hood and browbone to make sure everything is smooth. Line the lower waterline with Urban Decay Electric pencil and set with Sugarpill Kim Chi. Highlight under the outer brow and at the inner corner with Makeup Geek Moon Phase. 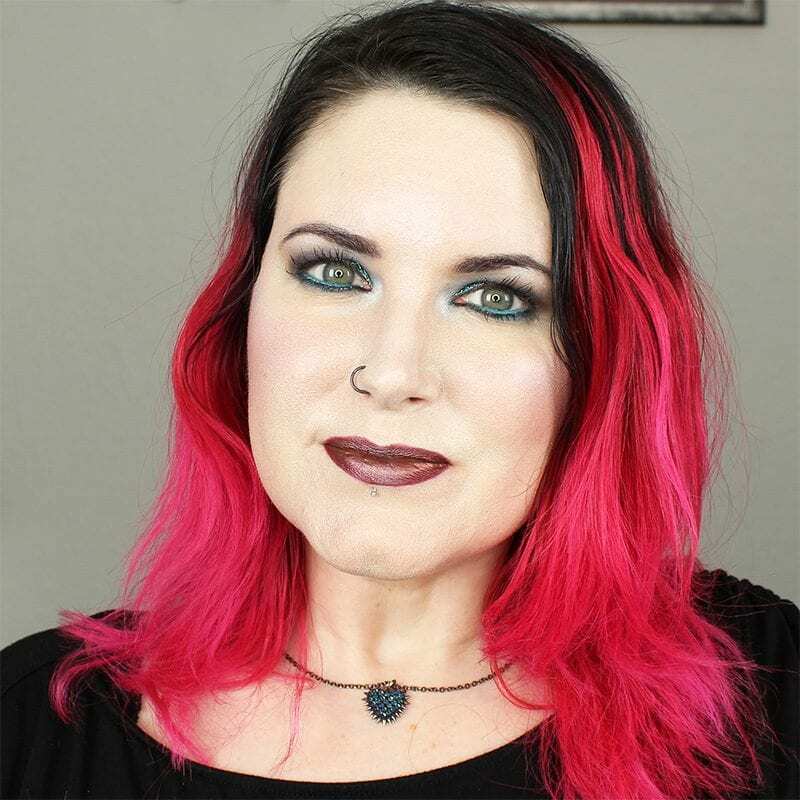 If you don’t have any of the Black Moon liquid eyeshadows, I would recommend trying the Urban Decay Liquid Moondusts (see my review), the Stila Limited Edition Duochrome Magnificent Metals (I bought Sea Sire & Into the Blue to feature soon), or the normal Stila Magnificent Metals. You need to layer these products on top of powder or cream eyeshadows, or on top of an eyeliner pencil, to get the best effect. Have you tried the Black Moon Cosmetics Liquid eyeshadows? What do you think of them? 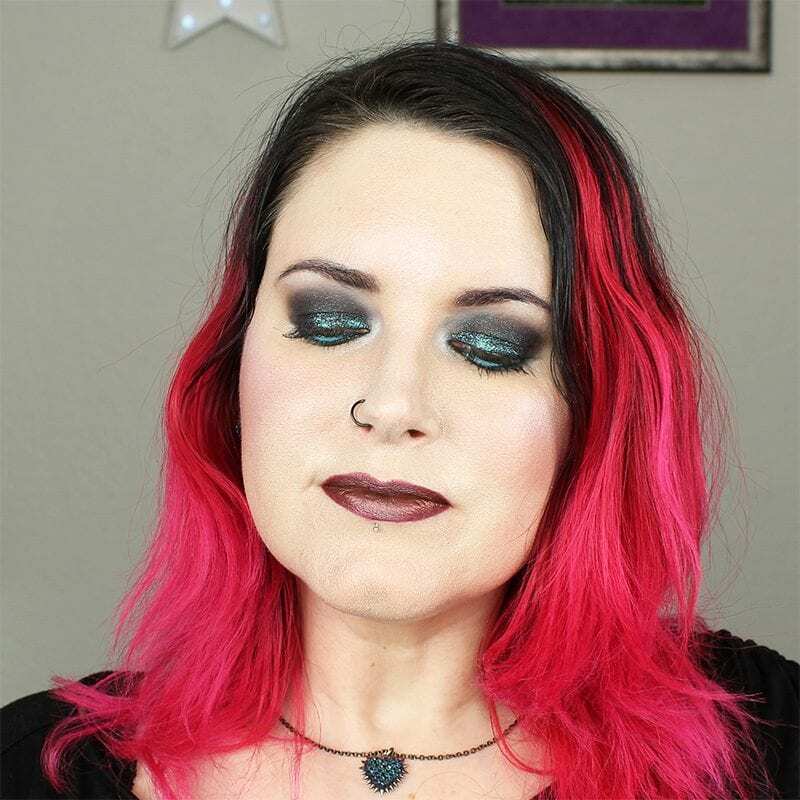 I hope you like my blackened blue smokey eyes tutorial! I think it’s perfect for hooded eyes, and of course you can adapt it to other eye shapes too!